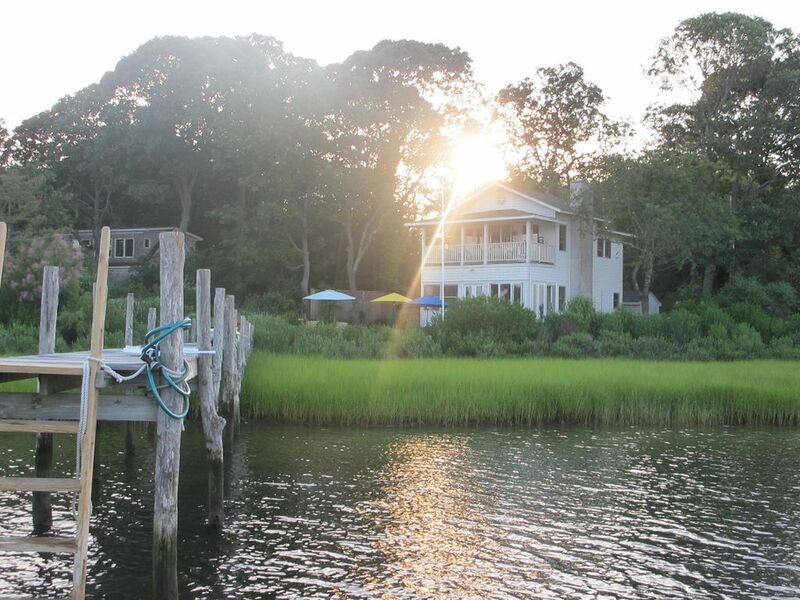 Enjoy the best that Shelter Island can offer at this renovated 2 bedroom waterfront gem. Nestled on West Neck Bay, this one-of-a-kind home is just 20ft from the water with sweeping views. Wake up to the amazing dawn rising above the water and flooding the patio outside the master bedroom. Take a morning stroll to bootleggers' beach or simply hang out on the dock. After breakfast, sit and enjoy the views or take the Kayaks out to explore the bay and beyond. Then there's swimming off the dock (no diving though as the water is shallow), clamming, reading, relaxing...And so it goes on until it's time for a picnic or an outdoor BBQ with your friends who've just sailed over from Sag Harbor and anchored off your dock. And of course, if you can tear yourself away from this little piece of heaven there's the whole of Shelter Island and beyond to explore before coming back to evening cocktails on the porch, more views and dinner around the farmhouse table. You may never need it, but just in case there's also cable TV, stereo and all that.